Urban contemporary paired home on quiet tree lined street. Highly sought-after location for the working professional. 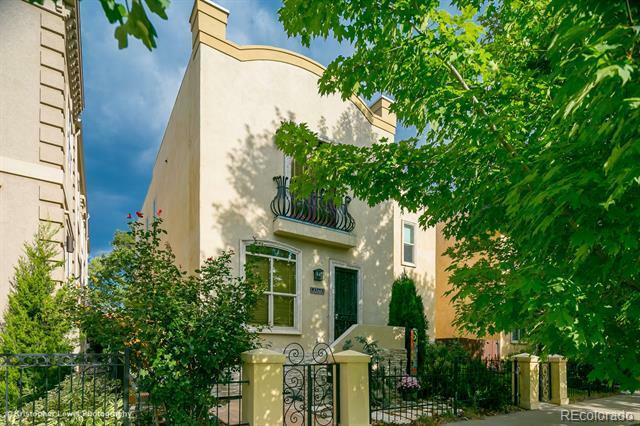 Only blocks to downtown, light rail, dining, shopping, brew pubs and award-winning Montessori school, yet feels like your private oasis in the city. The perfect blend of contemporary design paired with traditional craftsman touches. Seller has spent $100k in amazing design upgrades from the Honduran Mahagony Glass wall of doors and windows inviting the private deck with pergola, cedar tub, lush gardens, and landscape lighting into the home. Double-sided indoor-outdoor fireplace with live edge walnut mantle, stained glass window by local artisan, high ceilings, walnut flooring, chef’s kitchen with walk-in pantry, wine fridge, top of the line appliances, home office on main with French doors or 5th bedroom, theater system downstairs with wet bar, and cozy fireplace, Sonos sound system, oversized 2 car garage with structural support for roof top deck & many more features! Selling Office: Vintage Homes Of Denver, Inc.